A perfect gift for anyone in recovery! 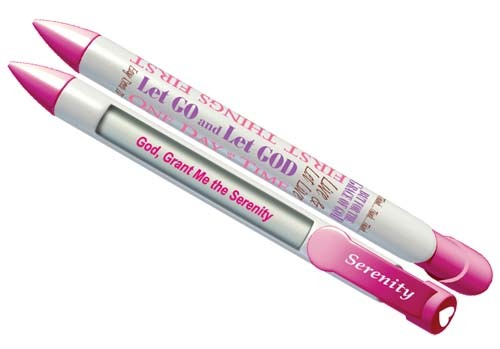 Serenity Pens delightfully rotate through each verse of the Serenity Prayer with every click of the button! Order a set for your group, office, or club-house! Recovery Pens feel really good in the hand! They are nicely balanced with a slightly thicker body than standard ball point pens - they write very well! These are not your typical plastic disposable pens!